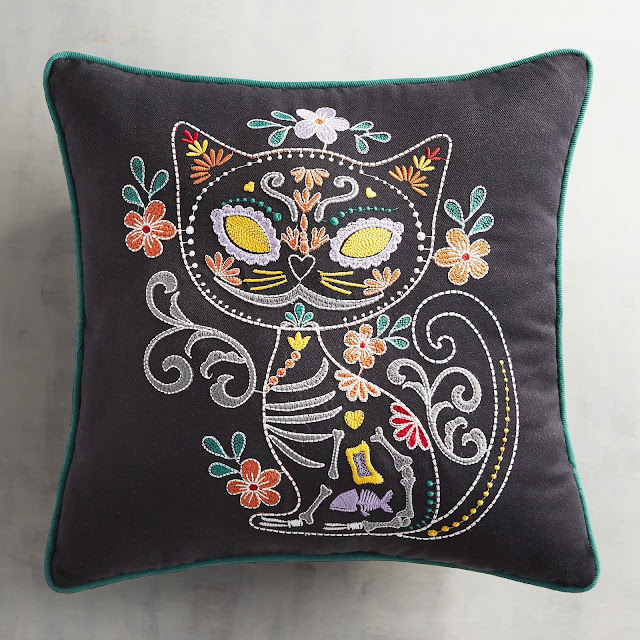 I wanted to show you this cute cat pillow from Pier 1 Imports. Sadly, they didn't do a very exciting job of photographing it. Sold only online, this El Dia de Los Muertos themed pillow is already on sale! Maybe they decided it wasn't selling fast enough for their liking? Who cares! Our good fortune.